Though honeybees represent just a fraction of the 20,000 bee species worldwide, they’re crucial for pollinating a large percentage of our flowering food crops. 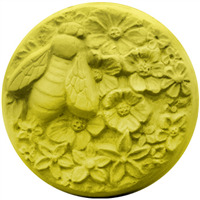 The Save the Honeybee Soap Mold was designed out of concern for the health and future of the domestic honeybee. 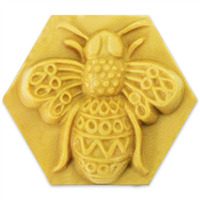 COMMENTS: This is a good mold for soy wax tarts as well as melt and pour soaps. COMMENTS: This soap mold is the cutest! 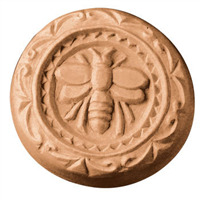 The soap is a good size and the mold holds the perfect amount. The soap pops out easily when it is hardened, which i was a little worried about because I have only used soft silicone molds in the past. Love this mold! Its adorable and works great! 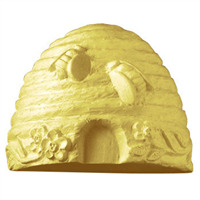 "Milky way save the honeybee soap mold"
COMMENTS: I use several of these molds each week. The design is nice, and my lotion bars pop out easily. The size of each cavity is perfect for me. COMMENTS: I love this. 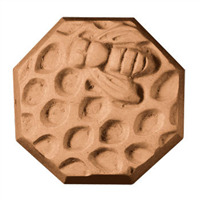 I'm a beekeeper, and this is a must have on my table. It's very time consuming to make, as I do the hive in one color, the bees in another color, the words in black and the leaves in green, but it's worth it to me. 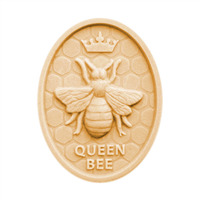 You don't have to go to that extent, a single honey-color would be just fine too. "How many impressions are on a mold tray? thanks. " Staff Answer There are three impressions in each tray. "How many ounces is the finished bar?" 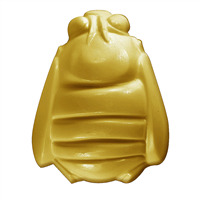 Staff Answer this mold makes 4.25 ounces bars. "What size is the bar itself?"